EXFO announced the extension of its Power Blazer offering to cover 10M-to-10G interfaces, and rates including Ethernet, SONET/SDH and OTN. Adding to the modules’ existing 40G/100G capabilities, these functionalities are available as software options for existing 88100NGE Power Blazer modules. 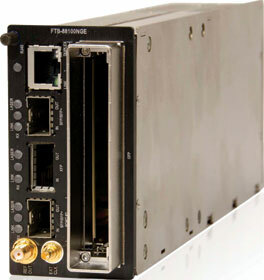 EXFO developed its FTB 88100NGE software architecture to give lead customers the flexibility to enable all or just a subset of the module’s supported 10M-to-100G testing capabilities, enabling them to meet their immediate needs while giving those who are still in the planning phase the peace of mind that the FTB-88100NGE-10M base configuration can be easily upgraded up to 100G via a simple software key. In line with today’s Ethernet service requirements, the new FTB-88100NGE Power Blazer includes EtherSAM (ITU-T Y.1564) on every 10M-to-100G Ethernet rate included on the module, offering complete validation of all SLA parameters in a single test for optimised quality of service (QoS).